“Alice families are everywhere and they are the people we cross on a day to day basis” said Ginger Lecompte, Executive Director for St. Landry-Evangeline United Way. For Louisiana as a state, the state average for ALICE households is 22%. St. Landry parish is seven points above that average, but it’s rural landscape could be the reason for an above average percentage. 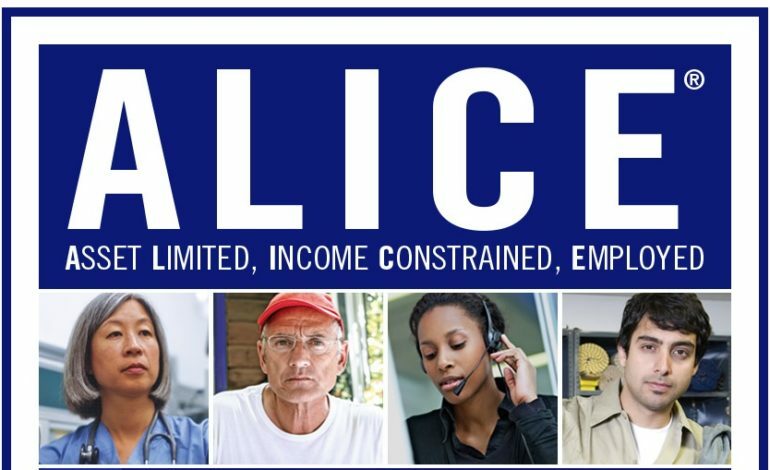 ALICE stands for: Asset Limited, Income Constrianed, Employed. A lot of these times ALICE individuals or households are one emergency away from poverty. “One is the amount of low income wages. There are jobs that don’t pay minimum wage. The other thing is transportation we have no public transportation system” said Lecompte. Lecompte says high skill jobs aren’t as abundant in St. Landry as they are in other parishes, leaving moms like Dori Comeuax who work at united way struggling to make ends meet. “I live paycheck to paycheck and if it wasn’t for my family, I live with my grandmother in the apartment she has above her house, I would be drowning. I would not be able to afford to even pay rent.” said Comeaux. But Comeaux isn’t the only one. The jobs where people most likely fall into the ALICE category include cashiers, retail salespeople , office clerks and those who are unable to afford basic necessities. “Basic necessities such as housing food, childcare, health care and transportation. and from last year to this year the number of household went up by two percentage points so that’s over 100,000 households in Acadiana that are struggling to make ends meet.” said Jason Huffman, Vise Presidant of Organizational Statistic for United Way. While the outcome looks bleak, this report creates the discussion space needed to try and curb these statistics. “Folks aren’t comfortable owning up to the fact yes they are no making ends meet. Now we can discuss what policies need to be put in place.” said Huffman. For more information on ALICE and programs click here.